Instead of our usual Christmas dinner followed by a couple of drinks, my work decided to purchase us all tickets to an Alzheimer's Scotland Ball at the George Hotel in Edinburgh a couple of weeks ago. The night was packed with lots of yummy food, on-table entertainers, musicians, balloon artists and very inspirational speakers. I spent a lot of time planning my hair, makeup and outfit for the event, so I thought I'd go into detail of the makeup look I wore for you today. My outfit that went along with this makeup look will be posted on my blog next Monday- so keep your eyes peeled for that post! This is definitely a look I've never tried before and a little out of my comfort zone. I created a very smokey eye paired with an orange lip. My dress was actually a royal blue colour, so I felt like the makeup matched the outfit perfectly. I didn't take any photos of my base makeup, but I used Rimmel London's BB Cream Matte in the shade Ivory set with a quick dust of Rimmel London Stay Matte powder in translucent. I also filled in my eyebrows prior to photographing my eye makeup. 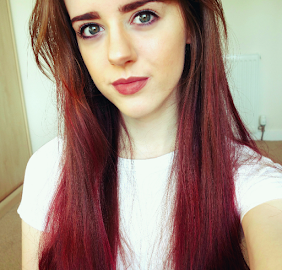 My full eyebrow routine can be found HERE. 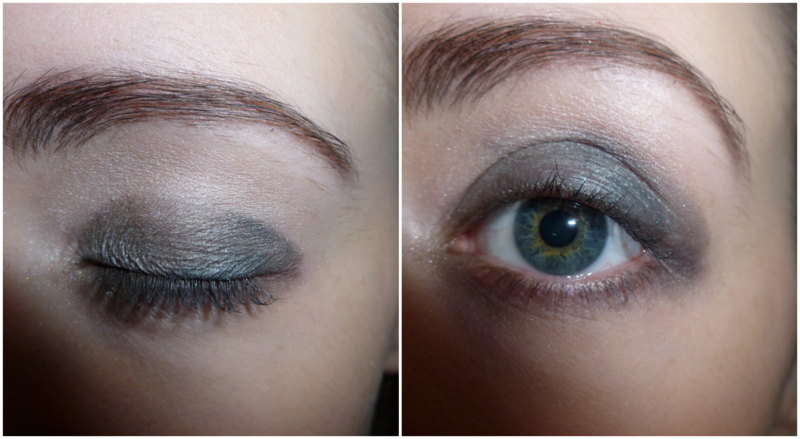 I used the shades Virgin, Darkhorse and Creep from the Urban Decay Naked 1 palette for this eye makeup look. I started off by lightly patting the shade Virgin all over my eyelid and up to my eyebrow with a Real Techniques Domed shadow brush. This shade doesn't have a lot of colour to it, but it really helps brighten up my eyes to make sure they are the main focus of the whole look. 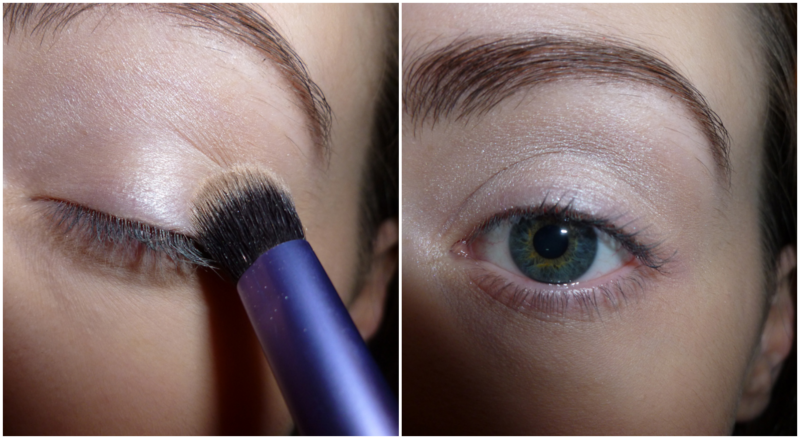 I then applied the shade Darkhorse to my eyelid using the same Real Techniques brush. I will usually use this shade as a contour colour for an everyday natural eye makeup look, however I found it looked great all over my eyelid for a heavier smokey eye look. 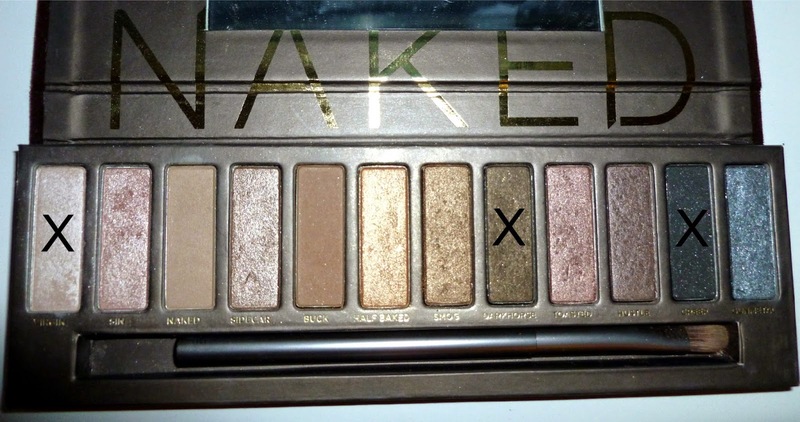 I then took the shade Creep and patted it on the outer 'V' of my eyelid using an Urban Decay eyeshadow brush supplied with the Naked 1 palette. Hopefully you can see the outer 'V' shape I created with the darker shade in the left hand side photo. I then blended this 'V' out in circular motions using the Real Techniques domed shadow brush. 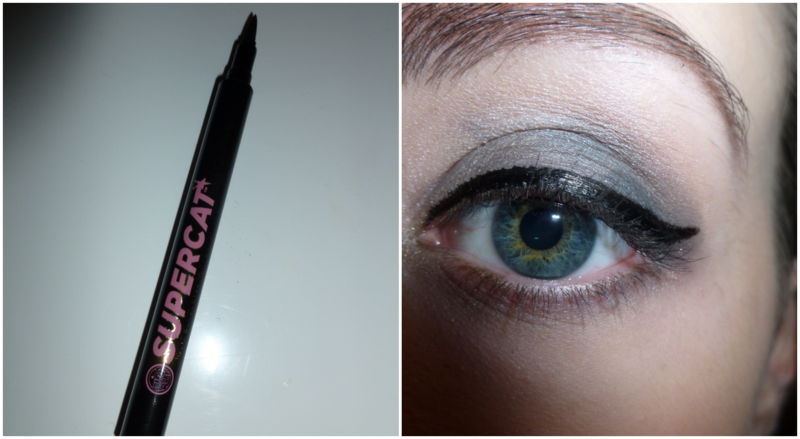 Next, I lined my upper lashline with my favourite liquid liner - Supercat by Soap & Glory. I find the pen-like tip makes it super easy to create the perfect cat-eyed look. As I was going to apply some false eyelashes, I opted for a liquid eyeliner instead of a pencil to make sure my false eyelash placement wasn't as obvious. 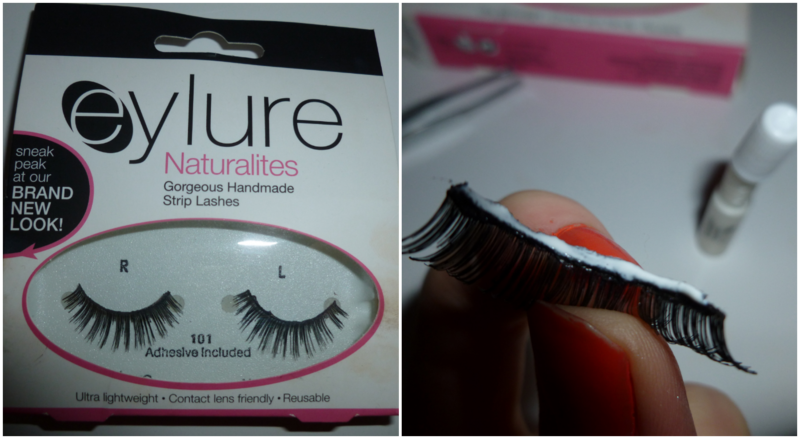 I applied some glue along the strip of my 101 Eylure false eyelashes and blasted the glue with a hairdryer until it was slightly tacky. I'm not an expert at putting on false eyelashes, but I find gently placing them onto your lash line with your finger first and then pushing them into place with a pair of tweezers makes the process a lot easier. I've reused these eyelashes about 5 or 6 times and they still look great! 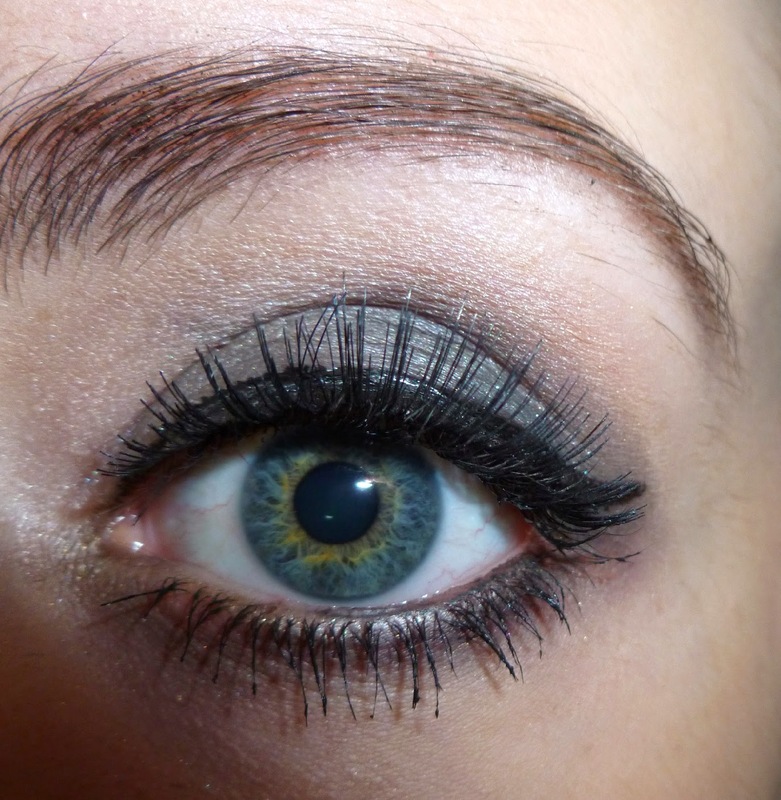 I applied one coat of Max Factor 2000 calorie mascara to blend my natural eyelashes in with my false ones. I finished off the eye makeup look by lining my upper waterline and outer half of my lower waterline with a Rimmel London Exaggerate eye liner in the shade Noir. I re-discovered my Revlon Colorburst matte balms the other day in my makeup bag, so I thought they would look great combined with a smokey eye. 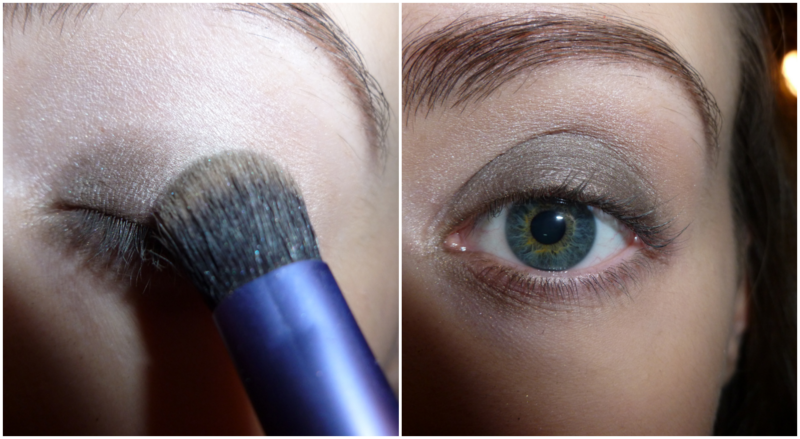 I used the shade Mischievious and I absolutely love how well it went with my eye makeup. It did need re-applied a couple of times during the night, but I love how the balms are so pigmented like a lipstick and moisturise your lips instead of leaving them dry like I find some lipsticks do. I'm really impressed with how this makeup look turned out. 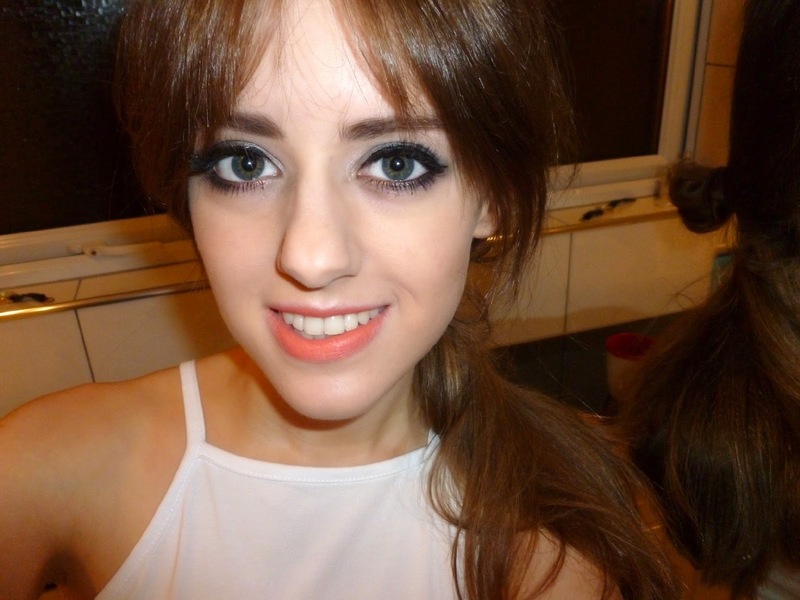 I'm not normally one to go all out with my makeup, but I was definitely tempted to try something new that night. Please be sure to come back next week to see what outfit I decided to pair with this makeup look. If you would like to see it before then, I've posted a photo of my outfit on my instagram (@alixstaines) and tumblr page (alixstaines.tumblr.com). What is your go-to makeup look for a night out? Do you have any ideas of what outfit you would wear to a Christmas party this year? 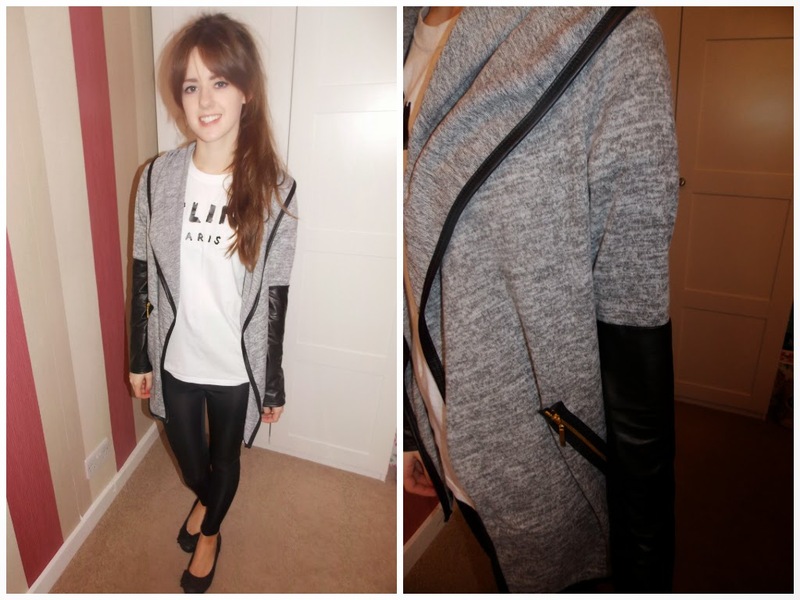 Rebel Rebel very kindly sent me this beautiful open grey cardigan to review today. I've seen lots of cardigans with the same style out on the high street and on various fashion blogs, so I'm incredibly grateful to now own one myself. The grey cardigan is made out of 95% polyester and 5% elastane. The material is quite thin, but great to throw on top of a T-shirt on a cooler day. I love the added gold zip detailing at the side as well as the leather trims that outline the cardigan. The little details definitely add a little more excitement to the outfit. I paired the cardigan with some black trousers, a casual t-shirt and some black pumps. The leather on grey is a fantastic seasonal transition piece and I'm excited to wear this with lots of winter outfits in the future. The cardigan is available on the Rebel Rebel website for just £12. If you haven't heard of Rebel Rebel Wear, I'd definitely recommend trying out their website - www.rebelrebelwear.co.uk. Are you a fan of online shopping? Which is your favourite to shop at? This is quite a spontaneous blog post. Every time I'm upset or really deeply thinking about things, I like to write, so I thought I'd share with you an experience that happened this morning which led me to think about and considering the way in which we treat others and how we would like to be treated. This morning I went to get my fringe cut. To tell you the truth, I've probably been to a hairdressing salon once or twice before in my life as a family-friend has cut my hair since I was born. On the very rare occasion when I'm desperate for a hair trim and my usual hairdresser is busy, I'll visit a hair salon to get it cut. I had a full fringe at the start of the year, let it grow out throughout the summer and it was almost at chin-level this morning, so thought it was in need of a re-shape. I phoned a hairdresser this morning asking how much it would cost and if I would have to book an appointment to get it trimmed- she said no, asked what time I was thinking of coming in and said I may have to wait for when a hairdresser was free (which I was completely OK with). I'm not all too familiar with hairdressing terminology. I have a fair idea of what thinned/layered/choppy styles are, but couldn't confidently go into a salon and explain to someone exactly what I wanted. I saved 4/5 photos to my phone of celebrities, including Alexa Chung and Bridget Bardot, with middle partings that were shorter in the middle and gradually elongated, flowing into the rest of the hair. I planned on showing these to the hairdresser in the salon. As I entered the salon, I immediately felt like the staff were trying to get me in and out of the shop as quickly as they could. When I sat down in the chair, I was thrown a black cape to put over myself and then reached to show her a couple of photos on my phone. I showed her my first photo and started to flick through the others; to which she briefly glanced at the first photo, went to grab her scissors and tried her hardest to look everywhere else in the salon besides looking at what I wanted my hair to look like. Following this, she messily parted my fringe off from the rest of my hair and chopped away. As this was happening, she was talking to her colleague on the right about their plans for the evening, completely avoiding eye contact with me. I assumed she had finished when she dropped her scissors and took off my black cloak. I checked my fringe and within seconds she came round the corner with my jacket. I barely looked at my hair cut. At this point I was so livid and felt completely tiny and insignificant. I hurriedly grabbed my stuff and paid the hairdresser the 5 pounds she requested. The whole hair cut lasted 3 minutes. I completely understand hairdressing salons are extremely busy at this time of year with Christmas parties and all - but I think I should have deserved a fraction of the hairdressers attention considering I did phone in advance to ask if I could pop in at a certain time and I paid her for a service (which was, admittedly, truly awful). Of course, I am not speaking for all hair salons, I'm sure the majority of them have friendly and caring staff, but it definitely puts me off visiting salons when I'm treated so insignificantly by a small minority of staff I've had cut my hair in the past. A couple of public figures have inspired me to make this blog post. Last week, Colleen Ballinger (also known as 'Miranda Sings') made a video called 'Why I have Low Self-Esteem' all about hairdressing staff and make-up artists not devoting their time and patience to their customers. Although I've personally been treated unfairly by staff in salons in the past, it made me think about how people treat others in the bigger picture. Zoe (Zoella) wrote a blog post at the weekend all about the hate comments she has been reading in her daily vlogs, an issue that has made her stop daily vlogging for the time being. Similar videos about the matter were posted by Alfie (PointlessBlog) and Gabby (VelvetGh0st) also. It really saddens me that some people lack respect towards others. We should use the world we are living in to our advantage to help spread positivity and encourage our peers to do so too. A lot of personal matters recently have made me really think about the way people treat one another. I'm an advocate for the phrase 'Treat others how you would like to be treated' and when a problem arises in my life, I will always think of how I would feel in the other person's shoes before I act. For example, I would never serve a customer at my work with disrespect. I would make an effort to have a conversation with them and be kind to them - not only because I have been trained on how to deal with customers, but because I personally believe it is polite to do so. After my experience at the hairdressers this morning, it encourages me even more to be kind to others in my workplace and in general everyday life because I know it would bring me down if I was treated unfairly in that person's shoes. I've also realised little gestures can really help make someone else's day. They don't have to be huge gestures. For example, you could tell someone in the changing room in a shop that what they tried on really suits them, pick up and return the bus pass the elderly man dropped in front of you, or simply tell a friend that their new hairstyle looks really good on them. 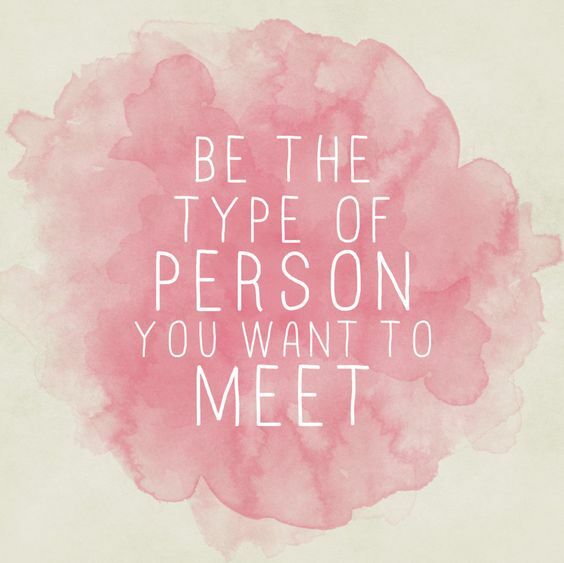 Recently, I've set myself a goal to do something every day to please someone else. Last week, I brought a bag of dresses round to my friend's house as she was struggling to find something to wear that night. Yesterday, I knew my boyfriend had been working every day of the week and had housework to do when he got home, so I took an hour out to do little things like doing the dishes and putting out his bin so he could relax after he finished work. Today, I helped my little sister with her maths homework. Little things really make a difference to other people's day-to-day life. It only takes a couple of seconds to tell a friend their makeup looks nice or half an hour to help a sibling with homework- this small amount of time out will not make a difference to your day, but it definitely will to someone else's. I can guarantee people will remember your good-will gesture too. I remember good gestures that have been rewarded to me - a customer complimented me on my glasses a couple of months ago at work and it really made my day and I still remember what he said every time he visits my work. Knowing you have made a difference to somebody's day will make you feel good in return. Referring back to Zoe's blog post about hateful comments online, it's very easy to get caught up in criticising someone hatefully over the internet. As much as the internet has its advantages, it has some disadvantages too, which leads to people saying things to others they wouldn't dream of saying those things to in real life. There are plenty of ways you can constructively criticise people without being nasty. Instead of commenting on how awful a YouTube video is to the creator, suggest on ways they can improve- is it the content/camera quality/angle of shot? Not everyone is perfect, and people will actually appreciate your thoughts and consider ways to help them improve. Internet hate is becoming more and more of an issue nowadays and I definitely think people need to take a step back before being hateful towards others - especially content creators who share their lives in exchange for our entertainment. Of course, it's completely normal to not like an individual. We are all different and we were not created to get along with everyone we encounter in the world- but sometimes it's safer to not say anything at all than bring that person down by posting a hateful comment or talking about them behind their back. It's not very often I experience being disrespected as the majority of people I interact with in every day life are very caring and positive people, but it's only the small minority who have been unfair to me recently (as well as public figures addressing their worries about hateful comments) that encourage me to speak out about how we should treat others. I think I've completely rambled on in all directions and I apologise if this blog post is a bit mis-matched, but I hope you understand there were a few things I had to get off my chest. Please let me and others know of your thoughts on this issue - I'd love to hear your view. Also help spread positivity by sharing any kind gestures you have witnessed/have done to help others in the comments! 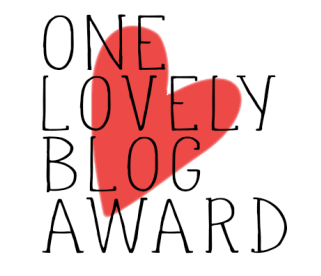 Thank you Salha for nominating me for the 'One Lovely Blog Award'! 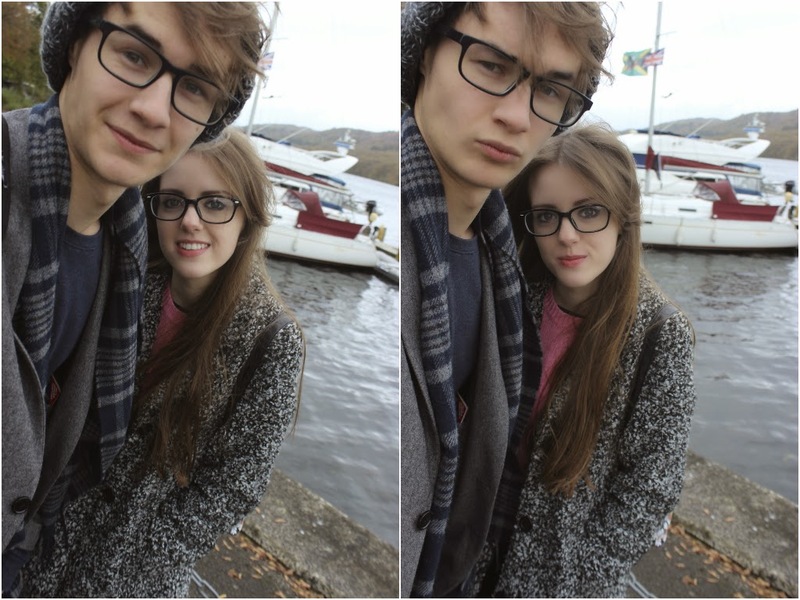 Please show her some love over on her blog (HERE), it's great! 5. Follow on blogger the person who nominated you. 1. I was born on the 30th of September 1995, which makes me 19 years old. 2. I have a younger sister named Beth, she is 15 years old. 3. I'm a 2nd year law student at the University of Edinburgh. I don't actually want to qualify as a lawyer, I'm just interested in the subject and figured it would be a great degree to have. 4. I play viola. I started doing graded exams in high school and managed to obtain a Merit in Grade 5. I've since stopped receiving lessons and I'm part of two String Groups/Orchestras at University for fun in my spare time. 5. I've seen McFly live 15 times and McBusted once. I've never actually met them, but I bumped into Danny Jones in a nightclub in Edinburgh last year. 6. I've been writing blog posts for 4 years and would love to take a journalism course after I pass my University degree. I would have studied Journalism at University, but I wanted to expertise in a subject area I love (law) first, so I have in-depth knowledge to write about in the future. 7. I'd love to make YouTube videos in the future. I have about 5/6 videos that I've filmed and edited already, but I'm too scared to post them online. Lauren, I think I'll Miss you Forever.. Thanks again Sahla for the nomination! 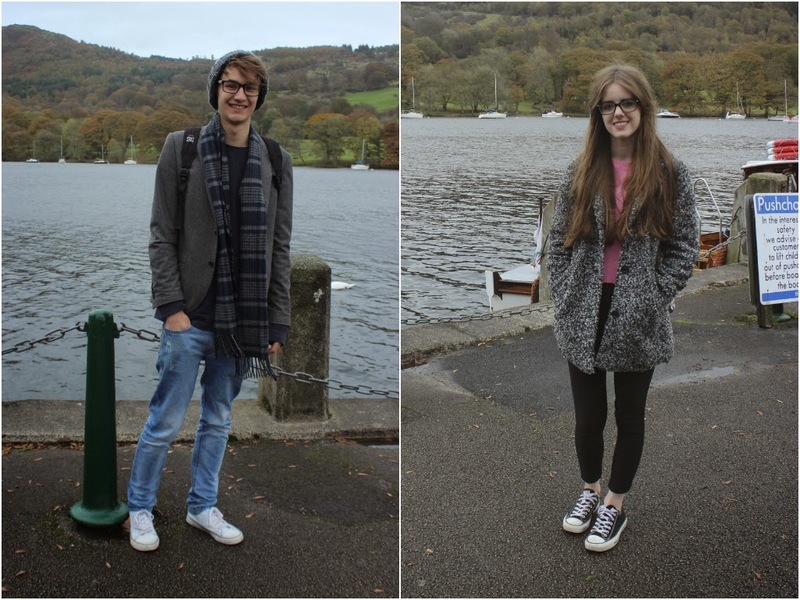 During our weekend away to the Lake District, Ken and I decided to take photos and document our Autumn-inspired outfits. As our fashion sense is quite similar, we've always wanted to create a 'His & Hers' outfit post. I'd love to do more posts like this in the future, so please let me know what you think of them.